BRITAIN'S “unluckiest dog” is looking for a new home again after another tragic episode in his sad life. Buddy the stray lurcher, whose striking odd-coloured blue and brown eyes saw him overlooked by thousands of dog lovers, has had to return to a rescue centre after his owner died. 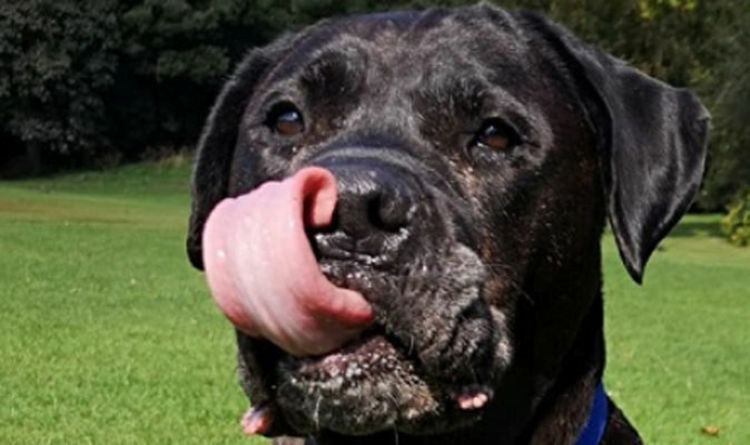 Almost four years ago Buddy – branded the dog “too ugly to love”– finally landed on his paws after languishing for 24 months at Dogs Trust home. A special plea from celebrity pet lover Paul O’Grady helped highlight Buddy’s plight and he was finally welcomed into what should have been his forever home. Kind-hearted pensioner Chalmers Moffatt was taken by the headlines describing Buddy as “Britain’s unluckiest rescue dog” and gave him all the love and affection he deserved. “I need him as much as he needs me,” declared the 76 year old widower as Buddy arrived at his home in Lanark for an ideal life of long walks and snoozes on the sofa. “We are so sorry to see Buddy back with us, especially in such tragic circumstances but we are so grateful that he has such a wonderful couple of years with Mr Moffat,” said Dogs Trust West Calder manager Susan Tonner. 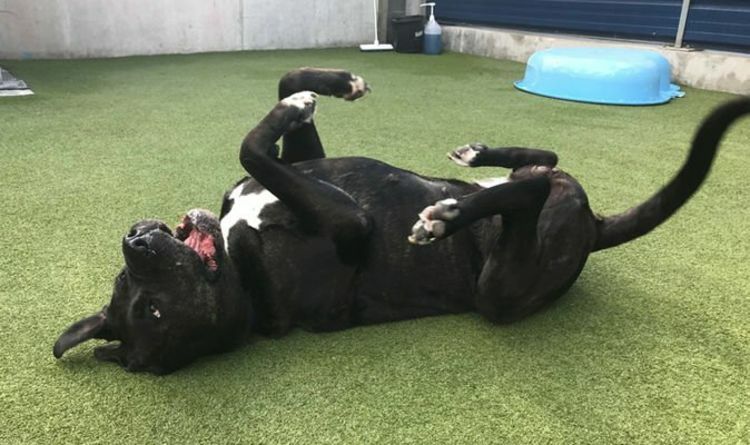 “Eight-year-old Buddy is now in his twilight years, having spent the majority of his life without a family so we do worry that he may end up being with us for a while again and adopters may over look him in favour of more conventional looking dogs. Buddy has a rare condition called heterochromia iridis which sees his right eye a milky blue and the left a dark shade of brown. The condition is believed to be hereditary and occurs in some breeds more than others, particularly Australian cattle dogs, Shetland sheepdogs, Dalmatians and Great Danes. New video footage filmed by Dogs Trust this week shows how Buddy loves playing games and being cuddled. “Buddy is such a super character and after all his misfortune he still has a real zest for life and so much love to give,” said Dogs Trust West Calder manager Ms Tonner. “Staff at the rehoming centre and his foster carers love Buddy and we do all we can to ensure he experiences his home comforts but after seeing how happy he was with a devoted owner we would like nothing more for him than to see him experience this again in the loving home he deserves.